As increasingly sophisticated practices of interception and pullback take place in the Mediterranean, less and less migrants arrive to Europe, while mortality rates increase. The European Court of Human Rights has addressed these practices with force in its 2012 Hirsi Jamaa v Italy judgement, where it found that the practice of directly returning to Libya migrants intercepted on the high seas was illegal and amounted to refoulement. Since then, however, Italy and the EU have found new ways to intercept and pullback migrants, apparently without engaging their international responsibility. From becoming directly involved in interception at sea, they implemented policies of cooperation, training and support which enabled the Libyan Coastguard to intercept and return refugees and migrants to Libya. In general, little is known about these events and the fate of the persons who are returned, facing the risk of arbitrary detention, inhuman and degrading conditions, torture, sexual violence, and forced labour. Moreover, it is extremely difficult for migrants to find appropriate avenues to access justice. The discussion will be moderated by Emmanuelle Bribosia, EU Law and Fundamental Rights Professor at the IEE-ULB. 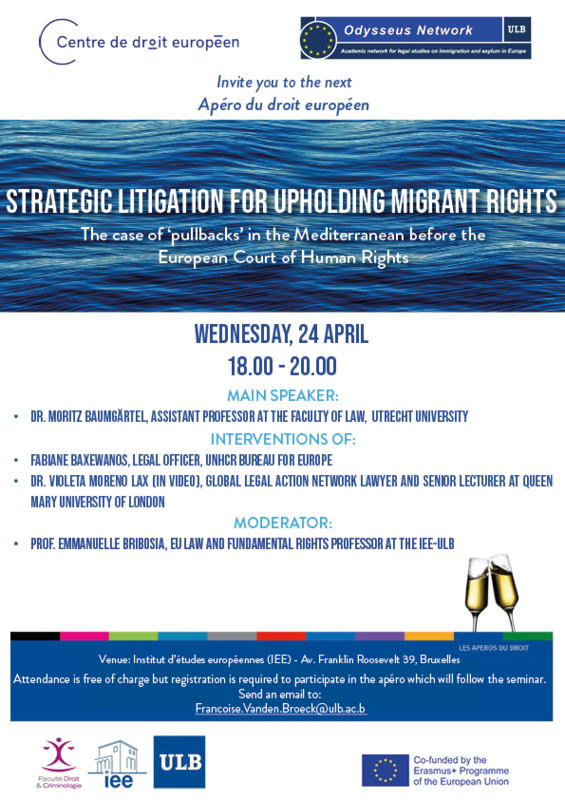 The event will be followed by an apéro offered by the IEE and the Centre de droit européen de l’Université libre de Bruxelles.